I don't exactly know what this thing is? I don't know how we can call this? But one thing I'm sure, it's a Chinese thing! 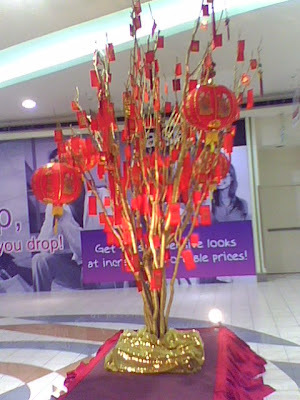 Yup, since we will celebrate Chinese New Year this coming Sunday, the purpose of this thing is for the celebration! How can we call this thing? 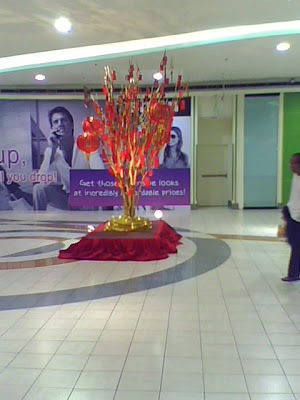 Is it a Chinese New Year Tree or a Chinese Christmas Tree? Which of the two better fits the name of this red Chinese thing? And looking in that tree, for me it symbolizes fortune and prosperity for the coming of the new year! If I'm not mistaken, it is all intended for a good luck and for a lucky charm! You should be the one to research for the name since you have a Chinese blood.